Electrical and air-conditioning installation contractors Brisbane. Act Fast Electrical and air-conditioning provide all electrical services, supply and installation of air conditioning systems included ducted air. Act Fast has been established for over ten years in Brisbane. Home renovations, new homes, electrical and air conditioning upgrades. We are happy to advise on the best and most appropriate air systems for your requirements. A lot of our work is referral based. We do take great pride in our workmanship, we will listen to your needs and recommend only the most appropriate products and solutions. We recommend and are happy to carry out servicing and scheduled maintenance. 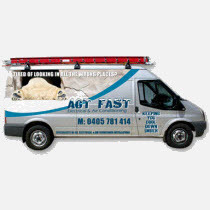 Act Fast provide prompt free electrical quotes and service all suburbs so if you are searching for an electrician, please give Act Fast Electrical and Air Conditioning a call on 0405 781 414. Visit the Act Fast Electrical website for more information. Ducted and split system air conditioner supply, installation, repairs and servicing. If you need an electrician in the Brisbane area please call Steve on for all your electrical and air-conditioning needs.